From easy climbs for beginners to challenging routes for experts, the region around Sölden is a true paradise for all those who like to scale the heights and test their nerves. All in all there are 20 climbing areas and eight 'via ferratas', which is the name given to fixed-rope climbing routes with metal handholds and footholds drilled into the rockface. 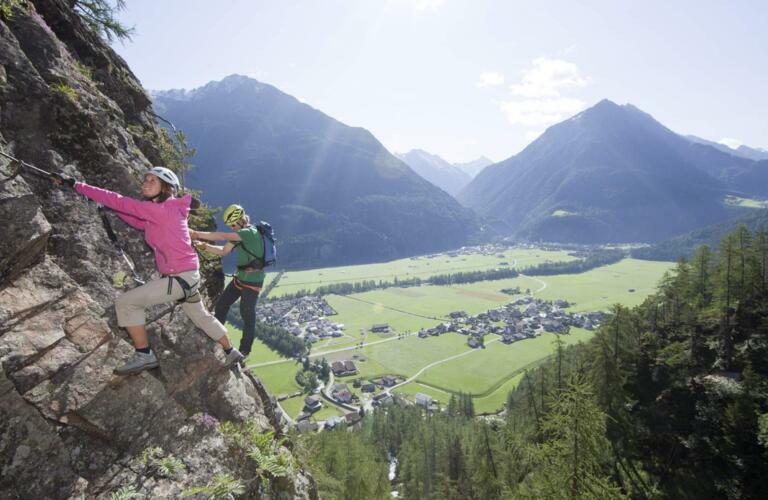 Just a short walk from the Hotel Bergland is the Klettergarten Moosalm with 32 routes, including three multi-pitch routes for all the family. In the centre of Sölden there is the Klettergarten Freizeit Arena, which is especially good for advanced climbers who like small holds in slightly overhanging terrain. "Taking on the difficulties of a mountain means learning more about yourself." Here at the Designhotel Bergland we have our own climbing wall right behind the main hotel building. As part of our weekly programme visitors have the chance to try out this fascinating sport in a fun and relaxed atmosphere. Via ferratas are climbing routes where a steel rope as well as metal handholds and footholds are anchored into the rockface. 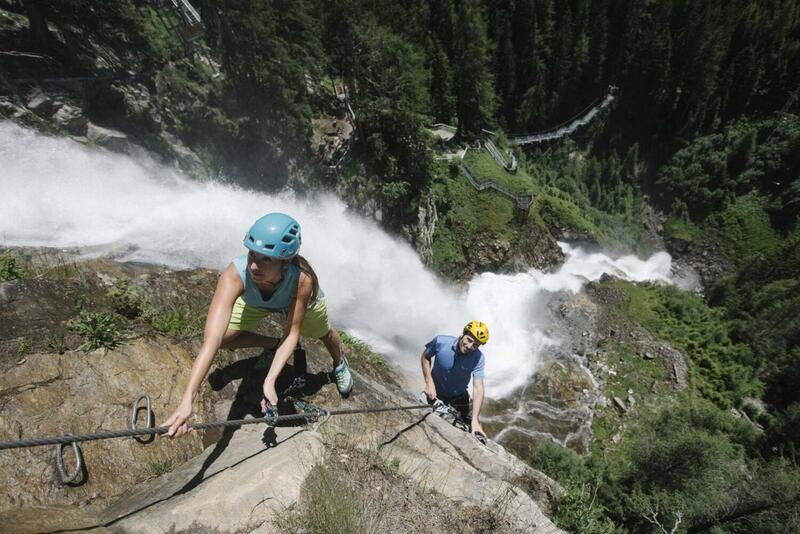 They are great fun for all the family and combine the thrill of rock climbing with a higher level of safety. The special equipment needed for climbing a via ferrata can be hired from the sports shop in our hotel. Please also speak to a member of staff at reception to receive free information about climbing in the local region. Then you are ready to head out into the mountains and have a go yourself!